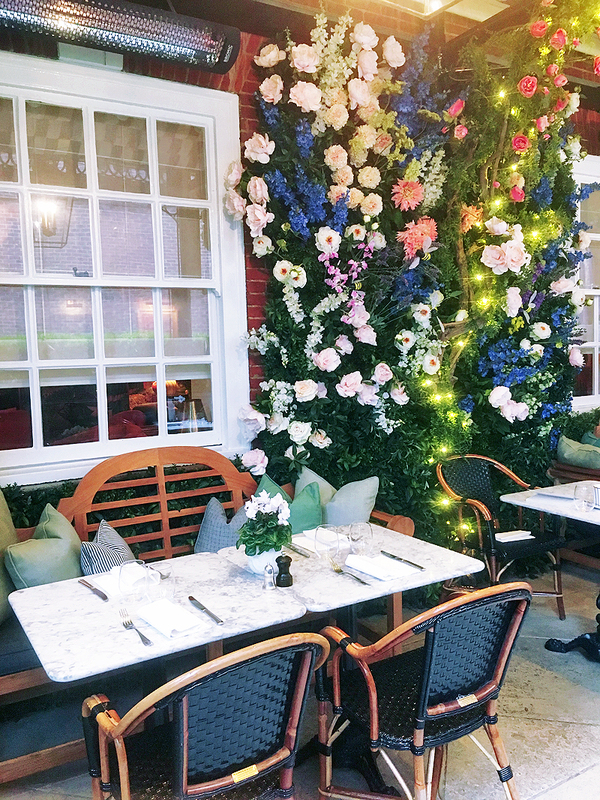 To be honest, the main reason why I wanted to go to Dalloway Terrace was the gorgeous decor. It has all the Instagram clichés: marble tables, flower walls and fairy lights. 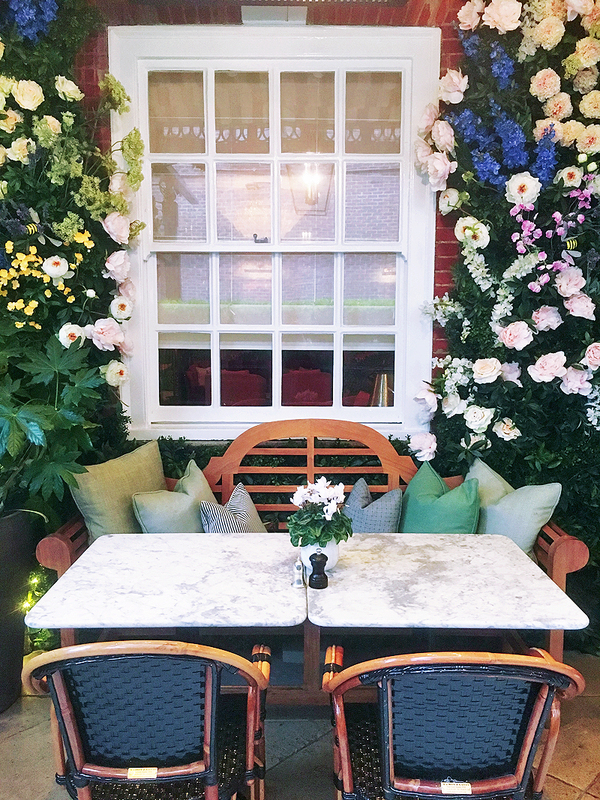 Instaworthy cafés are usually style over substance (Clerkenwell Grind and Peggy Porschen come to mind) and Dalloway Terrace is no exception. It's a small place and very popular, so booking in advance is essential. 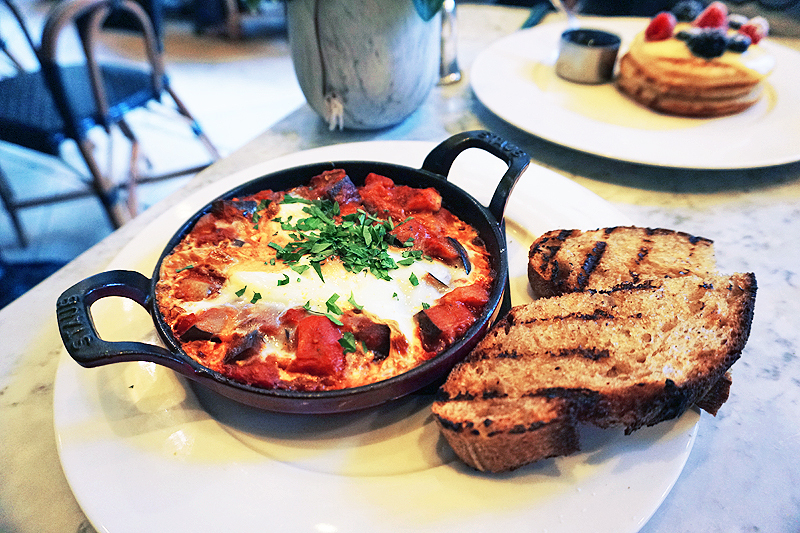 The shakshuka was surprisingly good and much better than the ones we've had at Clerkenwell Grind, NAC and The Good Egg. The eggs were perfectly cooked, and the tomato sauce was rich and flavourful. However, the added chorizo was extremely expensive, considering how there was a grand total of four small pieces of it. 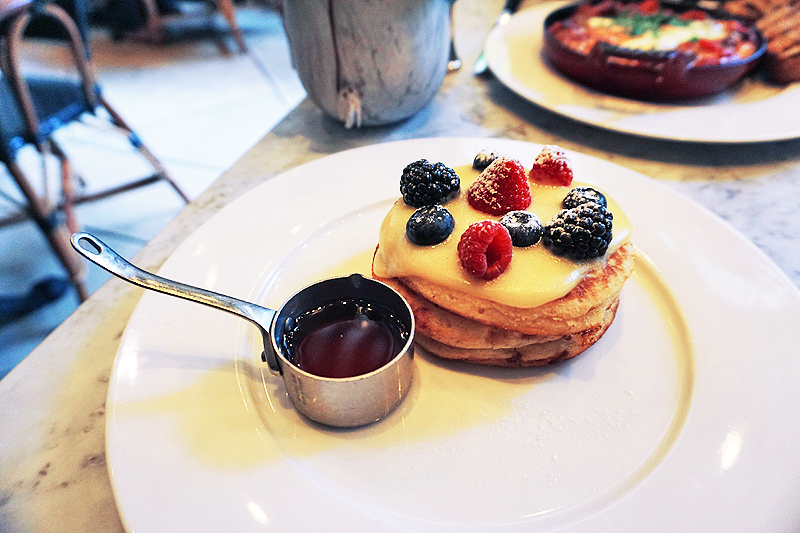 On the other hand, the pancakes were disappointing. Two out of three were burnt and dry. I'm not sure what type of syrup the pancakes came with, but it was thicker than maple syrup and very sweet. The sourness of the lemon curd helped alleviate the sweetness of the syrup, but I didn't think they made a particularly good combination. I didn't take a photo of the hot chocolate (£4.50), but it was overpriced and diluted. Overall, the food is average and took quite a while to arrive. However, the ambience is undeniably beautiful. It felt so serene and like you're having a leisurely breakfast in a secluded place despite it being located smack dab in Central London. 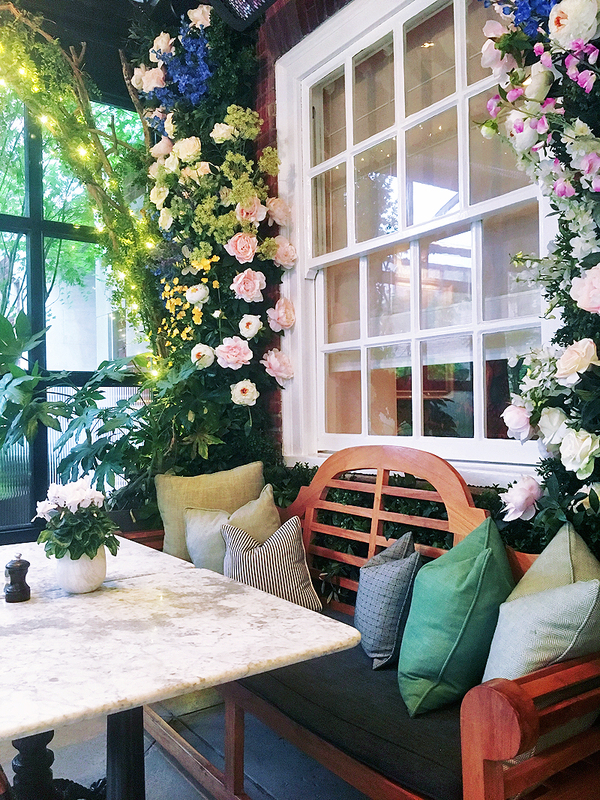 If you have time, do check out the Bloomsbury Hotel, which Dalloway Terrace is a part of. The hotel is equally stunning.